Nic Doggett previews Saturday's Eider Chase and fancies last year's runner-up - priced at 14/1 this year - to go one place better. The Vertem Eider Chase has a change of sponsor this year, swapping Fred Done’s bookmaker for (Laurens’ owner) John Dance’s asset management company, and it’s also due to be run on quicker conditions than has been the case for the last three years, with the current good-to-soft ground unlikely to deteriorate greatly if the weather forecasters are correct. So, rather than looking for plodders that handle four miles in a bog, this year’s task is to find a horse with the rare blend of stamina and an ability to travel strongly. 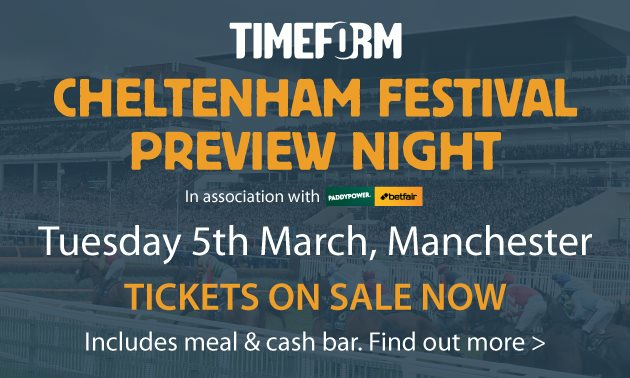 Sadly, that might rule out Timeform top-rated Just Your Type, who has an attractive mark back in handicaps after looking likely to win when falling two out at Exeter last month. He has stamina as a strong point, but he’s also done his winning on heavy ground and has not always travelled that fluently when taken out of his comfort zone. With those doubts, he’s reluctantly passed over. 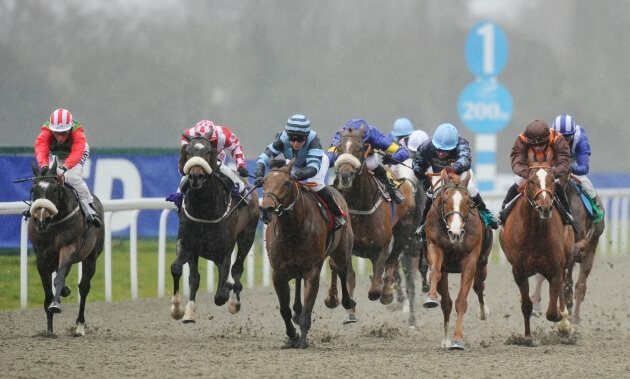 Similar comments apply to Folsom Blue, who warmed up for this with a good run over hurdles at Sandown earlier this month and has all the assets for a race of this nature, but probably in something akin to the 2011 renewal which saw only three horses complete in atrocious conditions; all seven of Folsom Blue’s wins have come on heavy ground. The ground was only marginally quicker 12 months ago when Baywing prevailed by four lengths from West Of The Edge. Though he ran well on his next start, Baywing has not been at his best in two starts this term but is still 7 lb higher than for his win, in contrast to West of the Edge who appears to have been cannily campaigned in blinkers this season; if the 2016 Rehearsal Chase winner Otago Trail doesn’t run, then West of the Edge (who is currently 2 lb out of the handicap) will be able to race off a mark 2 lb lower than last year, where he was only reeled in late in the day. 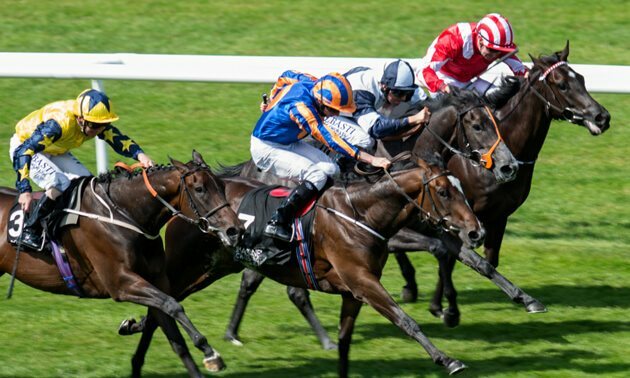 He acts on any ground, stays well, and often travels strongly, so ticks a lot of boxes at a general 14/1. Back To The Thatch was still going well when falling at the 16th in last year’s renewal, and though disappointing in the Midlands Grand National on his next start, he has progressed with each start this season, culminating in a good two and three quarter lengths second to Chef d'Oeuvre (West Of The Edge eighth) in a 27f handicap at Haydock last time. 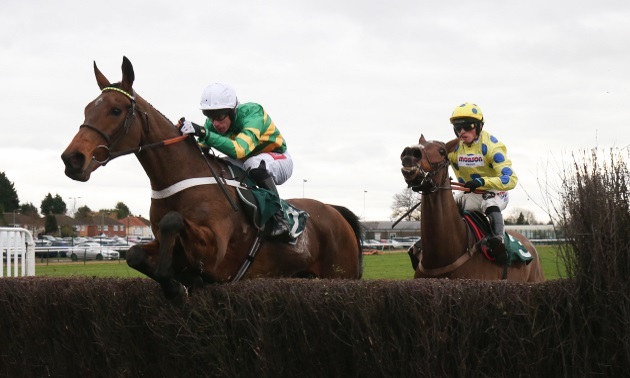 The winner is one of three horses that have come out and franked the form over fences since, when a close-up third in last weekend’s Grand National Trial back at Haydock, and Back To The Thatch holds obvious claims despite a 5 lb rise. Big River was yet to be asked a question when falling at the tenth in the most recent Rehearsal Chase (in which Otago Trail was third) in December, but he should have regained some confidence from a completion over hurdles later that month and is respected here from what looks a fair mark (easy handicap hurdle winner from 8 lb lower in March 2017). Zerachiel produced a career-best on what was effectively his first run of the campaign when five lengths second to subsequent winner Ange des Malberaux at Market Rasen on Boxing Day, but his jumping has often proved a sticking point. 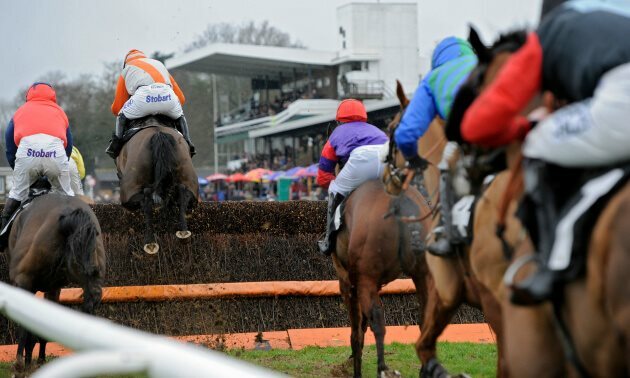 The latter has improved by a whopping 32 lb on Timeform’s scale since joining Dan Skelton, recording five wins in seven, and there were no signs of his progression coming to an end at Warwick last month. A 10 lb rise demands more, but it will be a brave person who writes him off. Jumping has also been an issue at times for Vicente, though the fact that he’s won two Scottish Grand Nationals suggests that when he gets it right he does so in style. His campaign may again be focused on that April race (fifth in his hat-trick bid last season), but he shaped with promise at Taunton last time – without his usual hood – and the combination of decent ground and a handicap mark of 146 (same as his two wins at Ayr) suggests that a big run is expected. Kimberlite Candy won up at Ayr in November, and bounced back from a poor Haydock effort with a career-best third to Classic Ben at Sandown last time; a half-brother to the stout stayer Alfie Sherrin, he looks the type who could improve again for this longer distance. The step up in trip appeared to bring about more improvement in Sharp Response, who acts on heavy ground but whose win in a five-runner handicap at Catterick last month came on quicker going; he has plenty more on his plate in this better company/bigger field, but his yard is adept at eking out improvement from their strong-staying types. Progress Drive held his form well as a novice last term and has continued in the same frame this season, making the frame at Ayr and Kelso, appearing to confirm his stamina for this trip on the latter occasion. 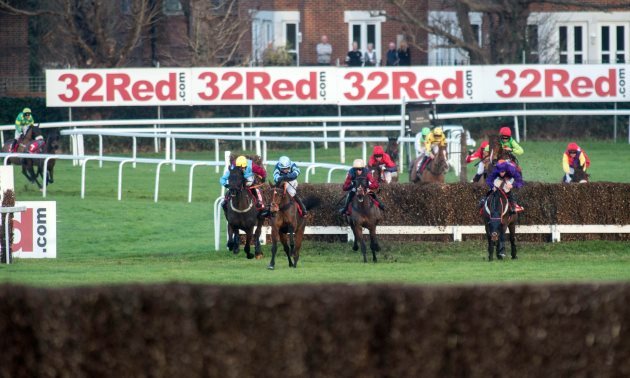 Off the same mark he’s considered, as is Prime Ventured who looks the type to improve over this sort of trip, though his alternative engagement much closer to home at Chepstow may hold more appeal for connections. 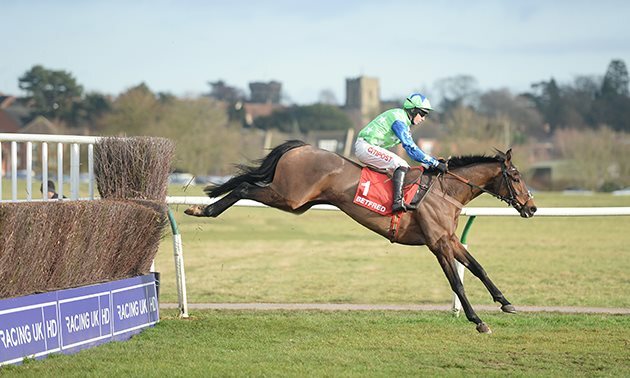 Of the rest, Crosspark ran up to his best when third to Impulsive Star in the Classic Chase at Warwick last time but looks handicapped to the hilt, while Potters Corner was in the process of running well before his jumping went to pieces when it mattered most at Wincanton last month. He’s 5 lb higher here, but certainly isn’t out of this with a clear round. Irish raider Kilkishen won well at Fairyhouse on New Year’s Day but faces a tough task from 12 lb higher here, so of more interest is Daklondike. 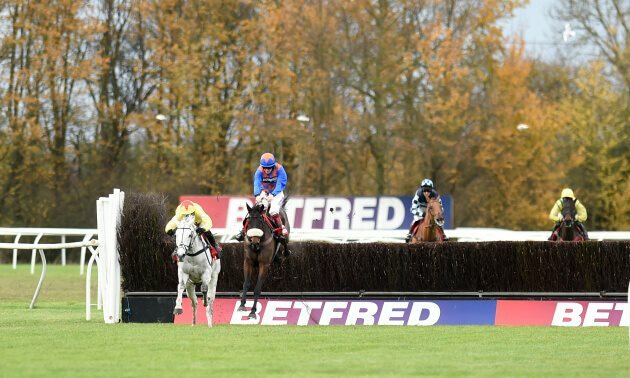 He failed to complete through no fault of his own at Haydock last time and a repeat of his win there in December would see him competitive, though, like several others in the field, he would ideally likely prefer slower ground. Back To The Thatch and Vicente appear to be the most solid at the head of the betting, but preference is for last year’s runner-up West Of The Edge. He hasn’t really taken to blinkers on his two starts this term but looks to have been trained with this race in mind and is on a very competitive mark. Significant rain would bring Just Your Type, Baywing, Daklondike and Folsom Blue more to the fore.